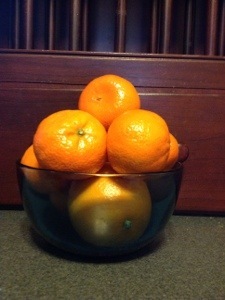 This entry was posted in Life and tagged anxiety, hormones, oranges, stress. Bookmark the permalink. ← Hi Ho Silver Nitrate Away! Glad you liked it and that you have an orange on hand! I was sitting next to a pregnant friend at an indoor swim meet, and she kept an orange peel up to her nose the entire time. Indoor pools have a strong chlorine smell and the orange kept it at bay. After a while i wanted to ask to borrow the peel! Great advice to keep one in your bag at all times! Good to know it blocks out the smell of chlorine too! Citrus smells have always lifted my spirits and have helped me to relax. I love lemons. The smell instantly makes me happy. Oh, I had a lavender citrus candle that was the best EVER! Yankee Candle. Highly recommended. Sounds like a delightfully,relaxing candle! Jamie, a short while ago I had another go-round of anxiety myself, and wouldn’t you know, I couldn’t get enough oranges! The ones I ate those two weeks were the most delicious I’d ever tasted! Now I know why! I will always think of you now when I peel, sniff, and slurp an orange orb!